Notify me of updates to ORACLE BC1 Bluetooth ColorSHIFT RGB LED Controller, for use with Halos, Devil Eyes, etc. The new BC1 ColorSHIFT controller is a robust and rugged Bluetooth option that is easy to install and a low price. 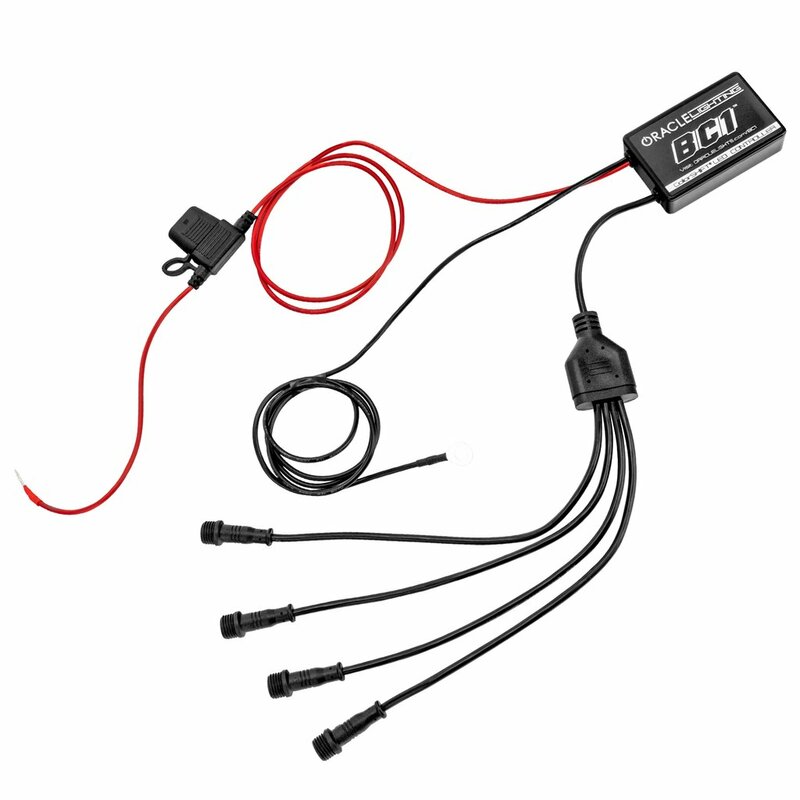 Perfect for adding ORACLE ColorSHIFT products to your vehicle, simply connect power and ground then connect your smartphone through the free app to control. 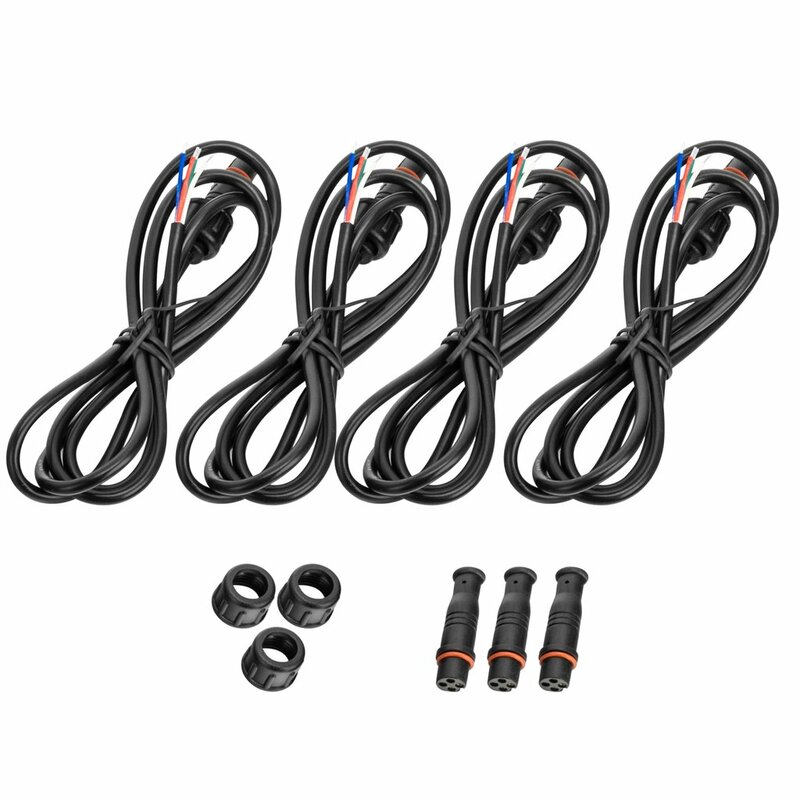 The controller features 4 outputs with waterproof connections for easy wiring to your ColorSHIFT lighting products. Through the app you can turn your lights on and off, select from millions of color variations, control patterns, brightness, strobe function, and even control the lights with music. For a demo of the app CLICK HERE. Easy Installation: Wiring already has ring terminals and fuse installed for quick and easy DIY installation. Compact and weather-proof, this controller is perfect for adding ORACLE ColorSHIFT products to your vehicle. Simply connect the power and ground cables then easily control your lights on your smartphone through the free ORACLE ColorSHIFT app. The controller features 4 outputs with waterproof connections for easy wiring to your ORACLE ColorSHIFT lighting products. Through the app you can turn your lights on and off, select from dozens of color variations, illuminate patterns, control brightness, adjust speed, and even control the lights with music.